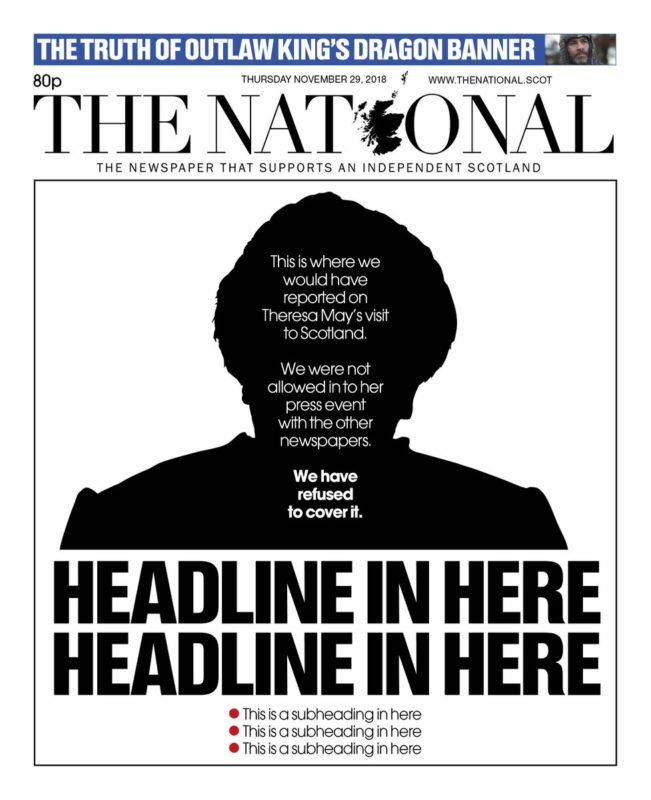 Independent Scottish newspaper The National has blanked any mention of Theresa May in today’s issue. The publication’s bold stance is in response to their reporter being denied entry to the Prime Minister’s press conference. “This is where we would have reported on Theresa May’s visit to Scotland. Now that’s what you call, fighting fire with fire! Inside the newspaper the headline reads: “Theresa May visits Scotland. 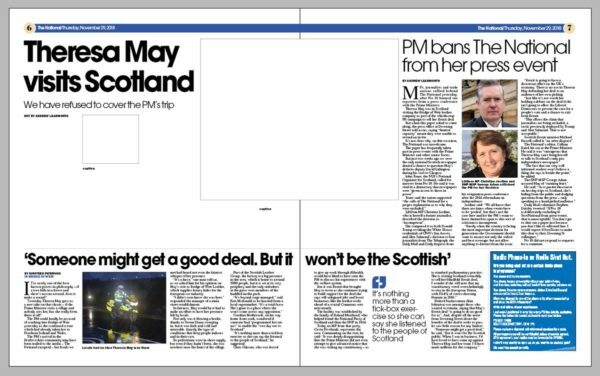 We have refused to cover the PM’s trip”, alongside a blank story template including the byline “not by Andrew Learmonth”, its political reporter. The No 10 press office reportedly told The National “limited capacity” meant they could not attend May’s meeting in Bridge of Weir. Editor Callum Baird, claimed his title was “presumably” left out because she does not agree with its editorial line on Scottish independence – it supported the Yes campaign in the 2014 vote. Freedom of speech at it’s finest.